Waste bins come with flap lid and are made of Stainless Steel. These are also known as swinging lid dust bins. 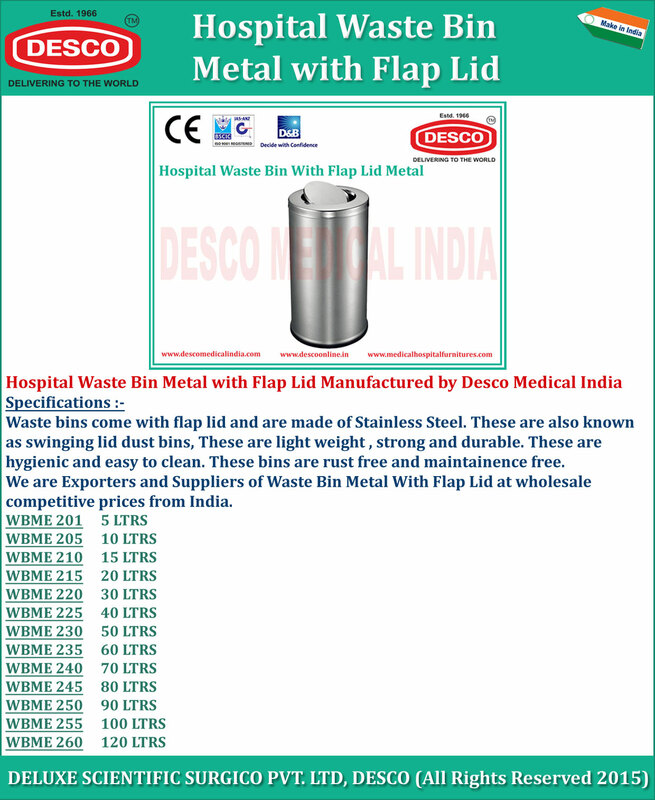 We are Exporters and Suppliers of Waste Bin Metal With Flap Lid at wholesale competitive prices from India.